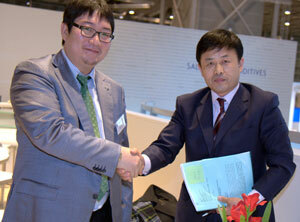 Songwon Industrial Group, the second largest manufacturer of polymer stabilizers in the world, and a leading global supplier of additives and other chemicals to the plastic industry, is once again to participate in the VDI Plastics in Automotive Engineering Congress in Mannheim, Germany (March 13-14, 2013). Songwon’s additives play an important role in automotive applications by improving processing parameters and increasing the properties of plastic parts in all vehicles. “Songwon has an enormous contribution to make to the automotive industry”, stated Joachim Bayer, Director of Global Technical Service and New Product Commercialization at Songwon. “The polymer penetration per vehicle increases year on year as carmakers strive to reduce weight. Additives are an essential part of the plastic materials that go to make up each and every application, whether it is to improve processing or to boost properties.